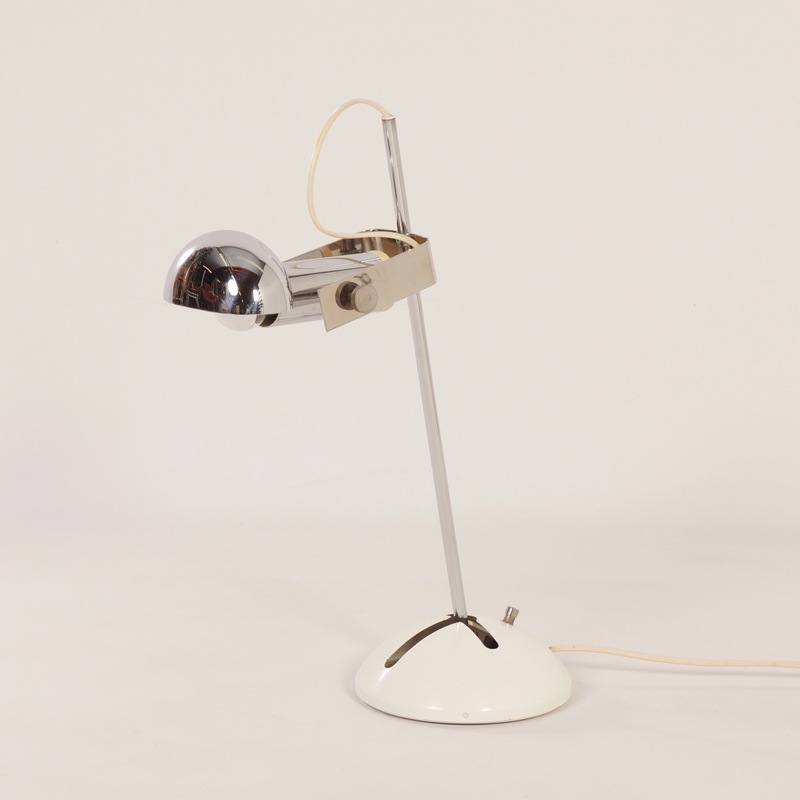 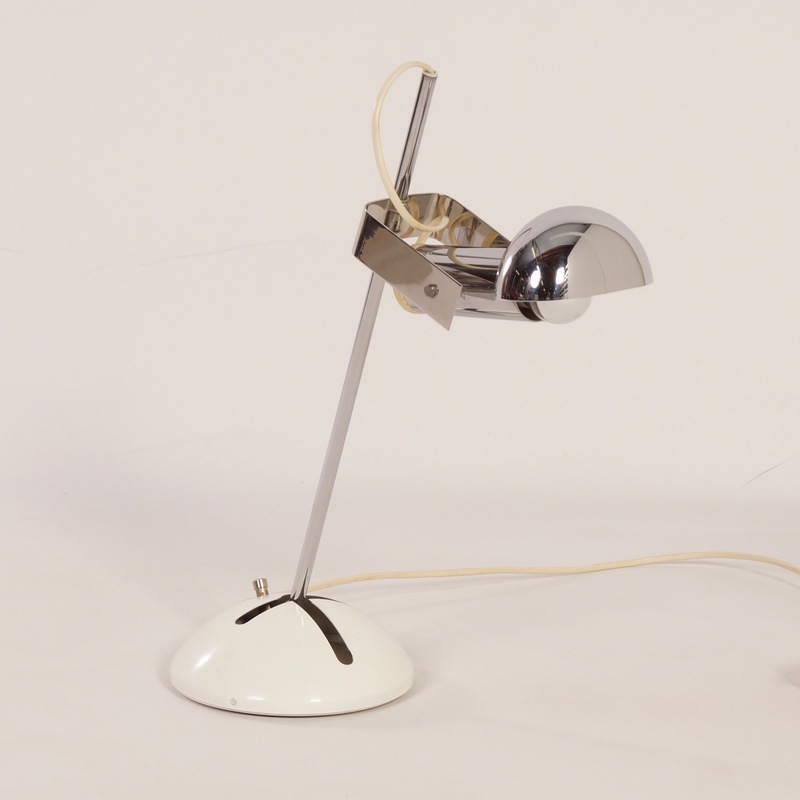 Robert Sonneman desk lamp model T359 manufactured by Luci Cinisello Milano, 1970s. 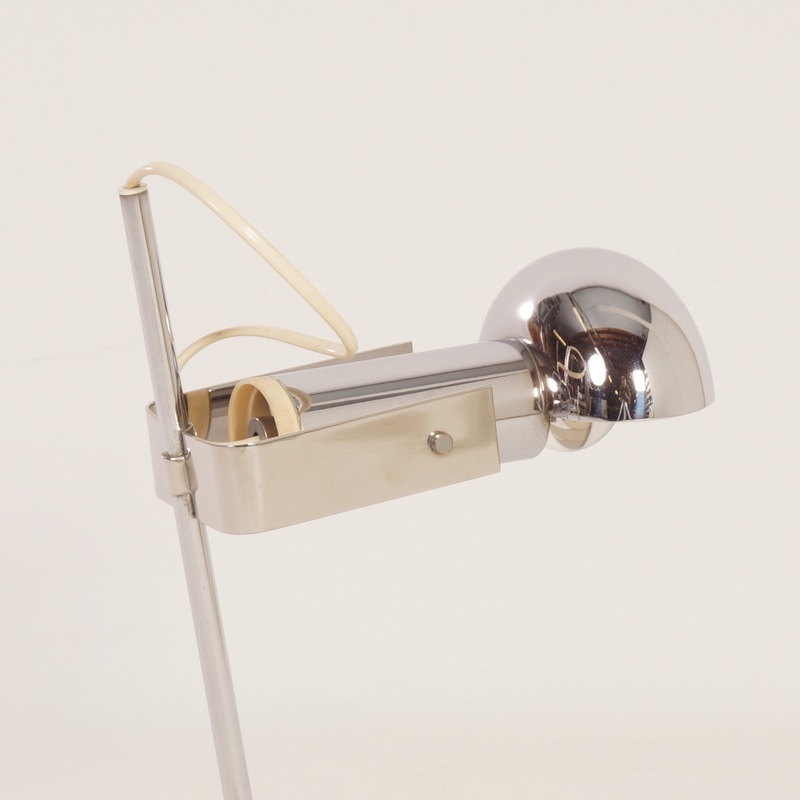 The base of this lamp is adjustable and based on the gear lever of a car. 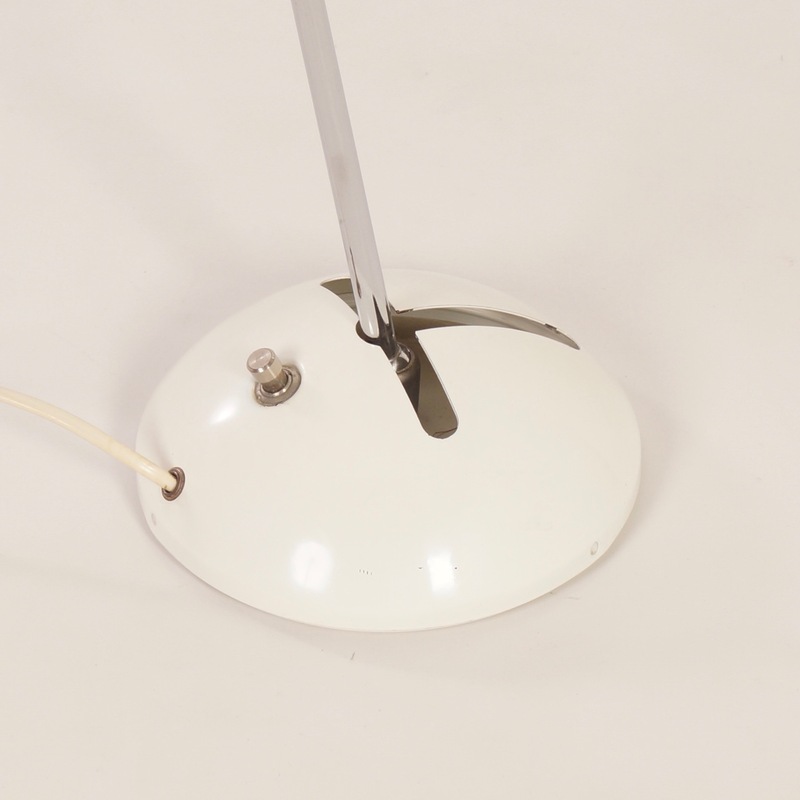 The shade is adjustable as well. 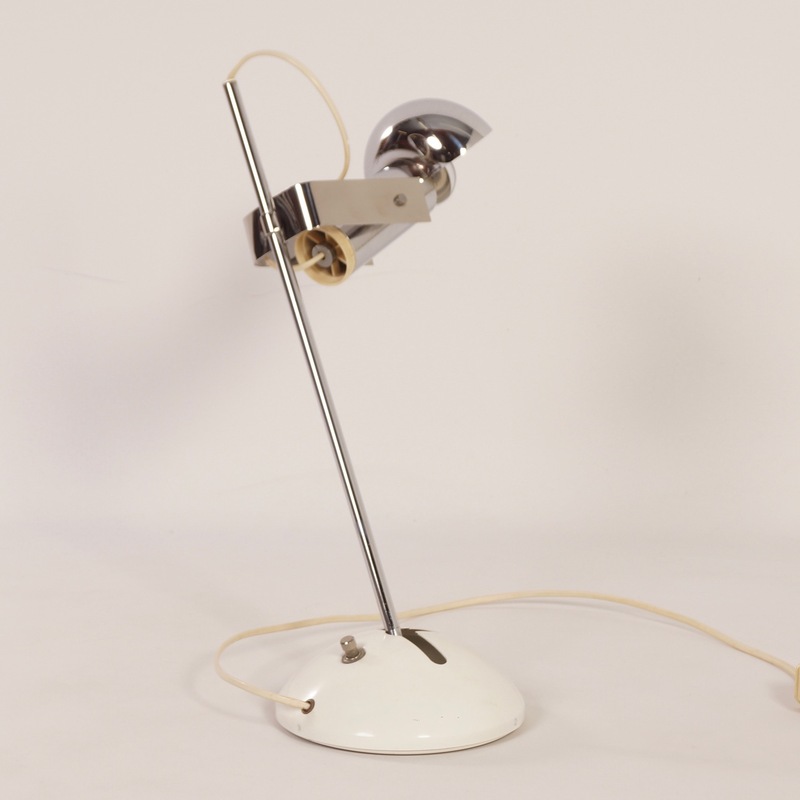 Considering its age this lamp is still very good and original condition. 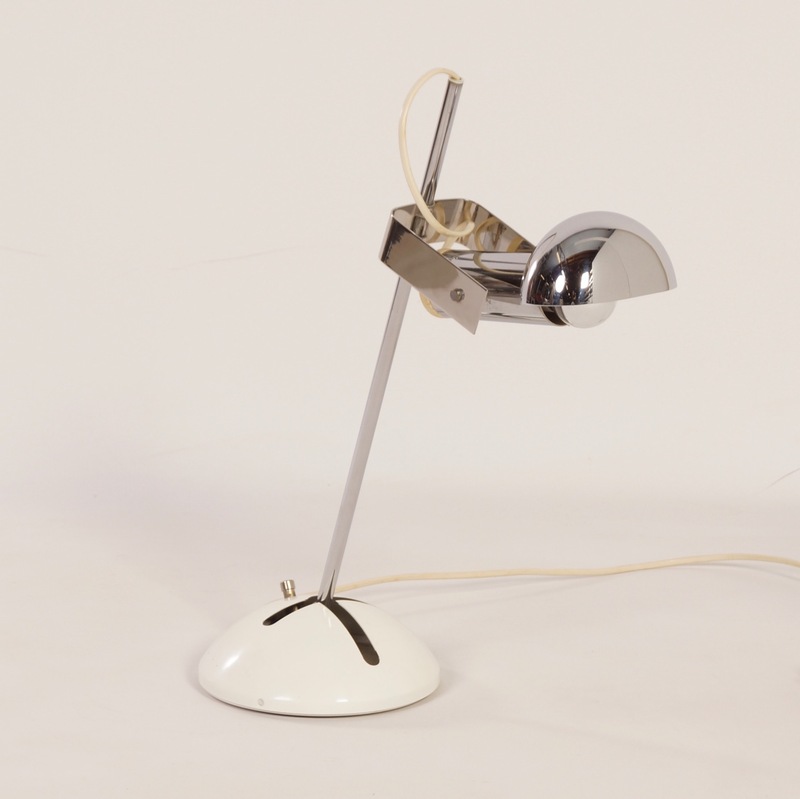 Material: metal partly chromed and partly white. 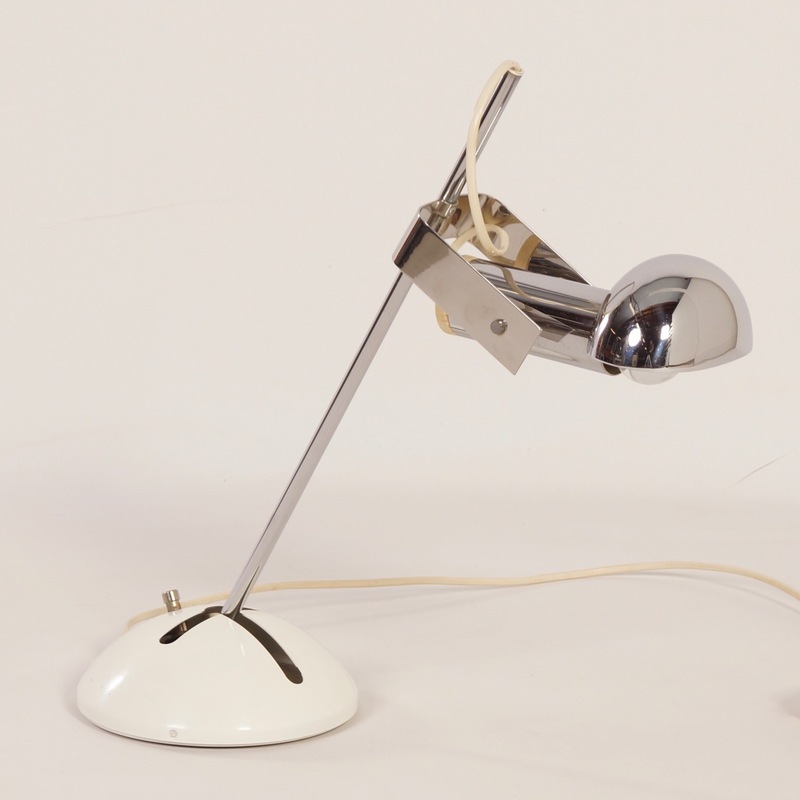 Colour: White and silver colour. Dimensions: h x w x d = 49 x 30 x 18 cm. 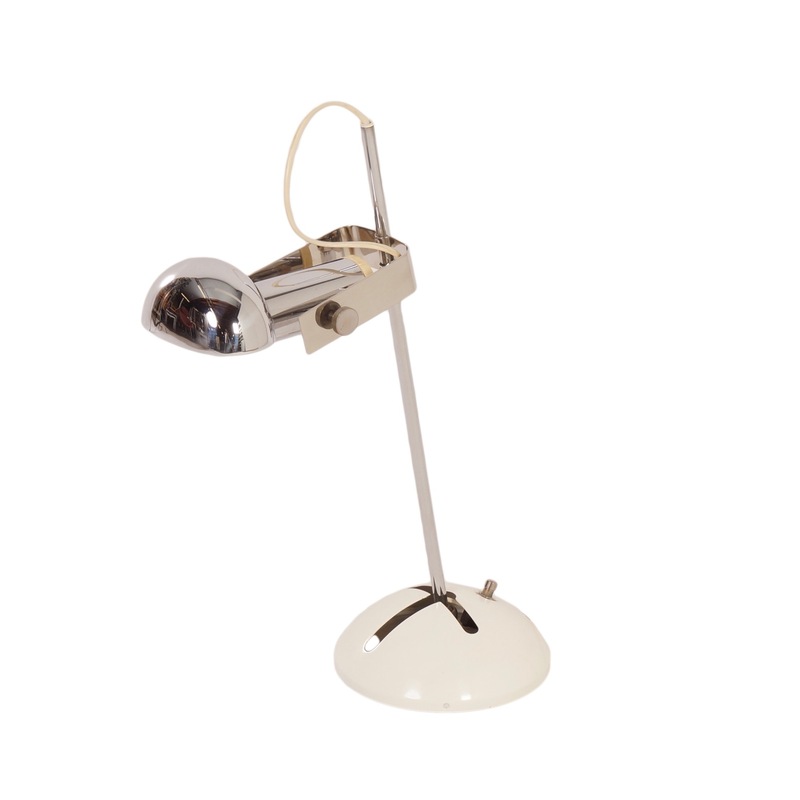 Marked: Luci Cinisello Milano, made in Italy (see photo’s).